Wood is one of the most valuable and vulnerable resources on earth. Tropical forests, in particular, are very vulnerable thanks to decades of deforestation, and need to be conserved. It's high time, then, to find an alternative that is sustainable and environmentally friendly, but that can match hardwoods both visually and in terms of its durability and stability. Bamboo might just fit the bill. Bamboo grows and spreads very quickly — up to three to four feet per day — without fertilisers, pesticides or even much water. Bamboo groves release 35 percent more oxygen into the air than grove of trees of the same size, and Bamboo plants mature in 7 years (compared to 30-50 years for trees). Bamboo is so fast-growing, in fact, that it can yield 20 times more timber than trees grown on an area of the same size. As a material, bamboo is robust, durable, hypoallergenic and water resistant. It's also incredibly flexible. We've collected some great examples of bamboo furniture and accessories here at homify – browse on, and you might be converted to this great alternative to hardwood. Furniture built by We Do Wood is based on the principle that stylish design, functionality and sustainability should go hand in hand. Their furniture is eminently adaptable, and is manufactured with the utmost respect for the environment and for natural and sustainable resources. 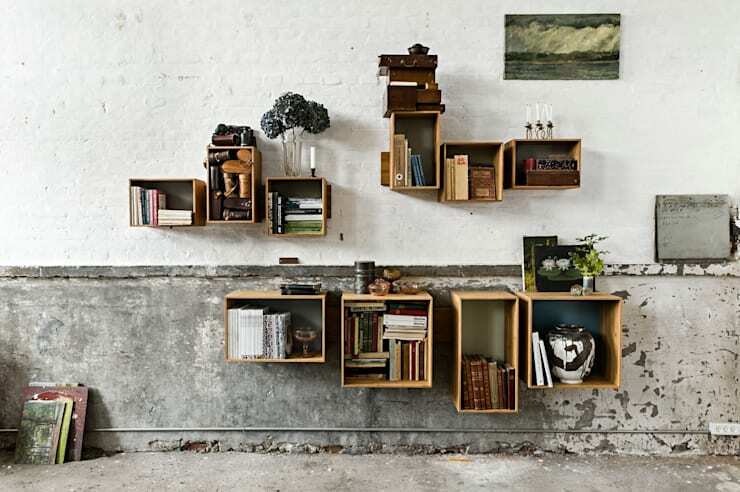 The SJ shelf system consists of a rapidly growing Moso bamboo, and comes sold as modules that you can arrange as you wish to suit your own space. Looks like normal crockery, right? Wrong! Everything in this picture is in fact made out of bamboo. 8pandas produce a range of accessories made from bamboo, and its crockery is biodegradable, dishwasher safe and break-proof. The company has received several design awards for its environmentally friendly, super-functional designs. We think they look pretty cool, too. The perfect addition to any kitchen. 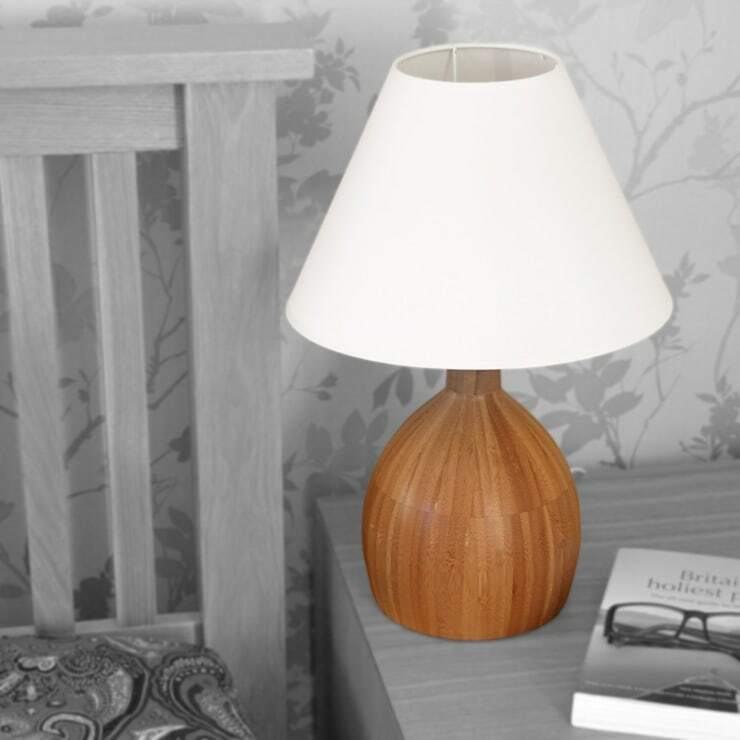 The base of this table lamp from Woodquail consists of golden brown bamboo worked into an attractive, soft, flowing shape – we told you bamboo was flexible, didn't we? This lamp would make for a stylish and elegant eye-catcher in any bedroom. Sleek and understated, bamboo blends with any kind of interior. The 'Safe' bedside table from Woodquail is an interesting piece. 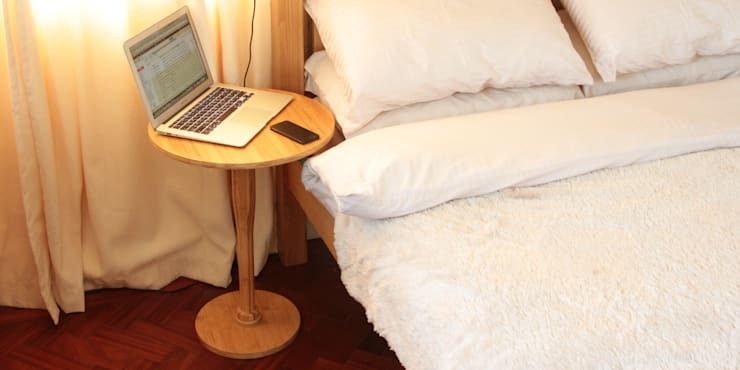 It might look like nothing more than a pretty, minimal bedside table, but it hides a secret: it can be dismantled quickly to create a club and a shield (the table top has two handles built into it; these can be used as the shield handles, or to hang wires from). If you're nervous about intruders, this might be the perfect bedside table for you! Even if you're not, it's a lovely, simple piece, made from a sustainable material, that would be a great addition to any bedside. 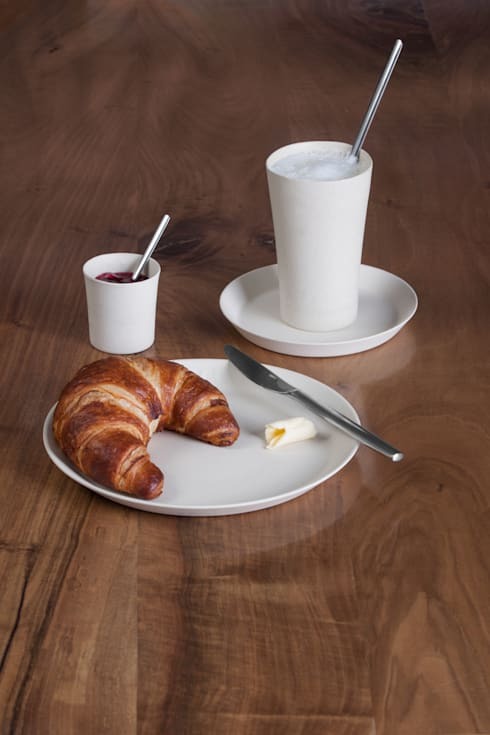 Designed with love and manufactured with high-quality craftsmanship, by räder, who have been producing home accessories since 1968, this chopping board would be a delightful addition to any kitchen. räder emphasises the use of natural, renewable raw materials and the minimal use of crude oil in their production processes. Many of their products are mostly if not entirely handcrafted, and, according to the company, they 'tell of love and happiness, of laughter and of life itself'. Use of bamboo doesn't have to be restricted to within four walls – it's also ideal for outdoor use, as our experts Bamboo4u know. 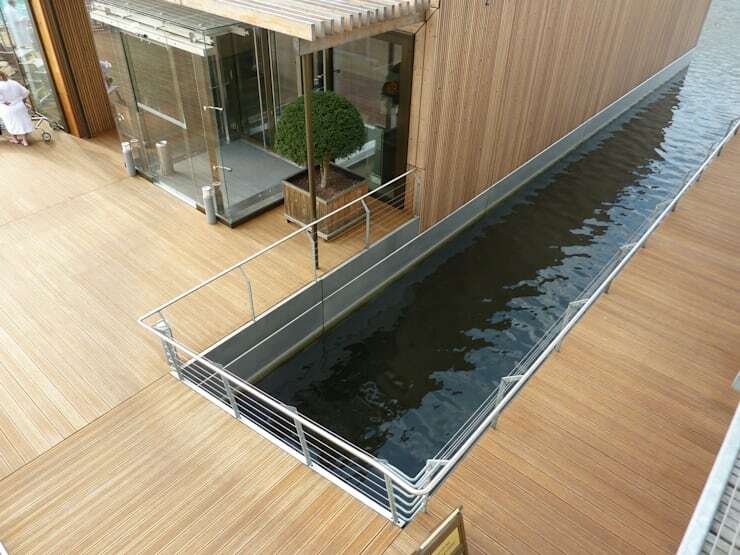 They specialize in the distribution of decking made from laminated bamboo, which offer a high quality and ecological alternative to hard and tropical woods and easily can be installed using a quick clip system. Are you a convert to the use of bamboo in place of hardwood? Let us know in the comments!